My great and small adventures with the cards. I wanted to know what chances do I have of going on a trip I had planned. Today some obstacles appeared and it's possible I won't be able to go in the end. I think I won't go. 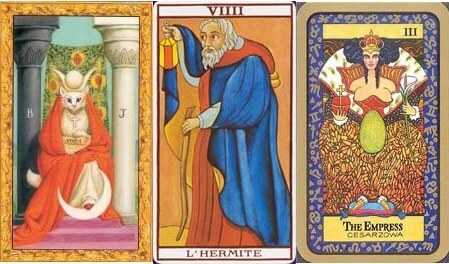 Tonight it will be questionable (2/Swords), tomorrow will be unclear (2/Coins) and tomorrow evening (I can even see the moments of the day by the colour of the sky in the cards!) will bring the news that the trip is impossible (XVI). Edit: indeed the trip was impossible. 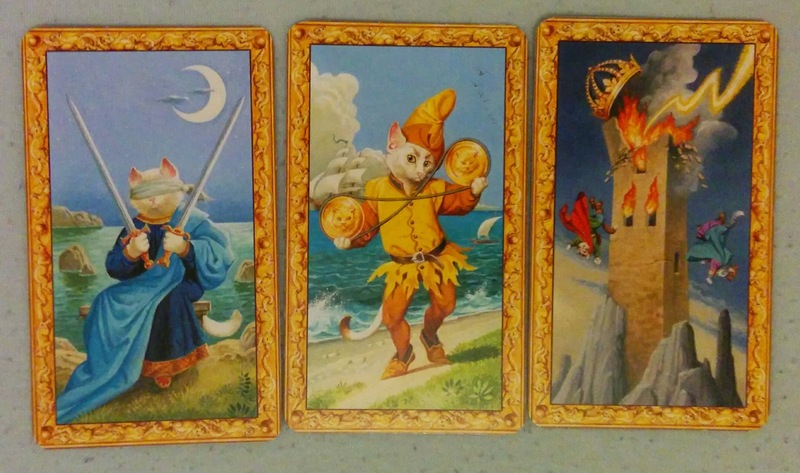 It wasn't exactly as I have interpreted, but the last card - The Tower - shows precisely my baby's high, flaming fever!